Join us in conversation with Tammy Haygood, First Vice President, The Impact Investment Group, UBS Financial Services and Kelly Coyne, Vice President, Global Women’s Strategies, Impax Asset Management LLC and Pax Ellevate Management LLC as they discuss investing in women through "Gender Lens Portfolios". Soul of Sonoma (SoS) on the Vineyard is slated to become one of Martha’s Vineyard’s most anticipated annual premium wine and epicurean classics. 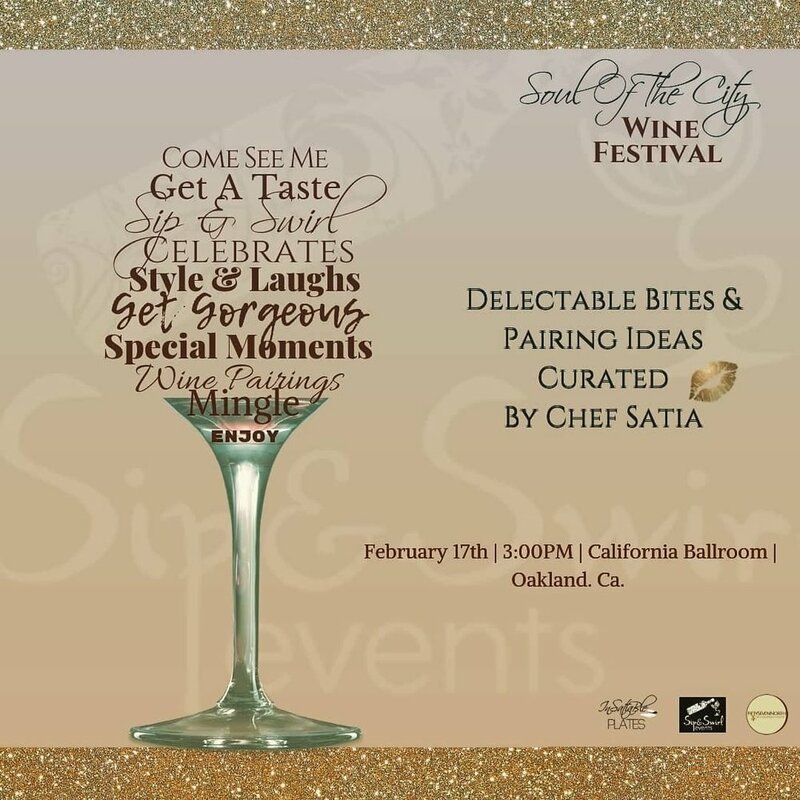 The event, will be held Saturday, August 11, 2018, and will serve as a unique opportunity to share in the love of all things culinary paired with wine from some of California's premium award-winning black-owned vineyards. Local Chef Deon Thomas will be preparing culinary delights to pair with your wine tasting experience. Winemakers from Charles Woodson Wines and Theopolis Vineyards (among others) will be on hand to share their knowledge and guide guests through their wine tasting experience. The 5th Annual Off the Vine wine tasting fundraiser features premium wine selections from African American vintners. 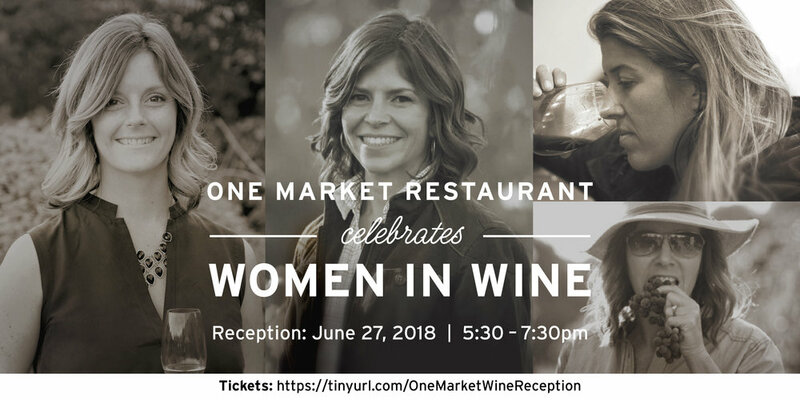 Confirmed are McBride Sisters, P. Harell Wines, Sosabe Cellars, Indigene Cellars, Theopolis Vineyards, and Enat Honey Wines. Xi Gamma Omega members will pour sparkling wine as well. Light refreshments will be provided. The Association of African-American Vintners will host their 10th Wine Symposium and Tasting to celebrate diversity in the wine industry. 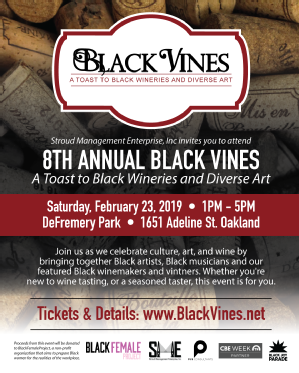 WINE Tasting Black & minority wine vendors "So nice we had to do it TWICE"